Photographs supplied by Ian Waters O.A.M. 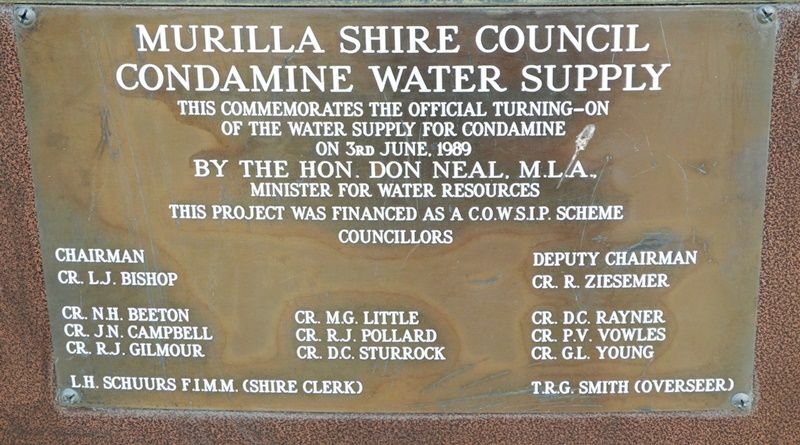 A plaque commemorates the turning on of the Condamine water supply in June 1989. By The Hon. Don Neal, M.L.A.